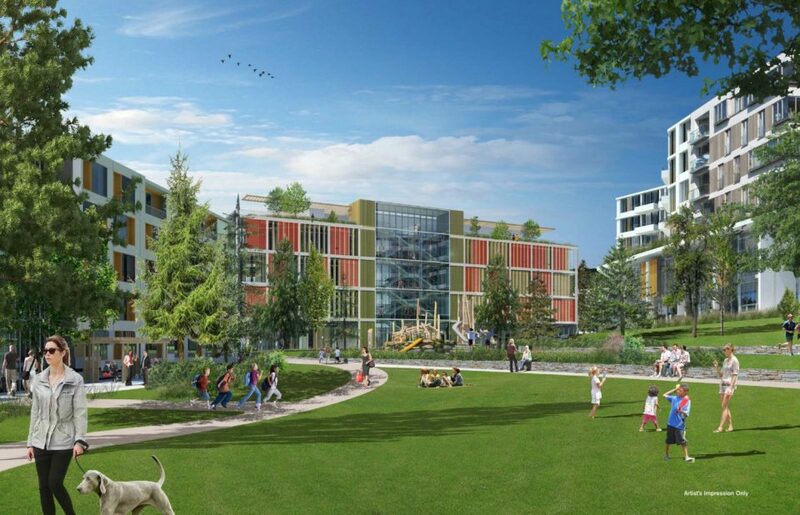 The Tsleil-Waututh Nation has partnered with Darwin Construction on development of the North Shore Innovation District — a 45-acre site located off Dollarton Highway near the Maplewood industrial area. 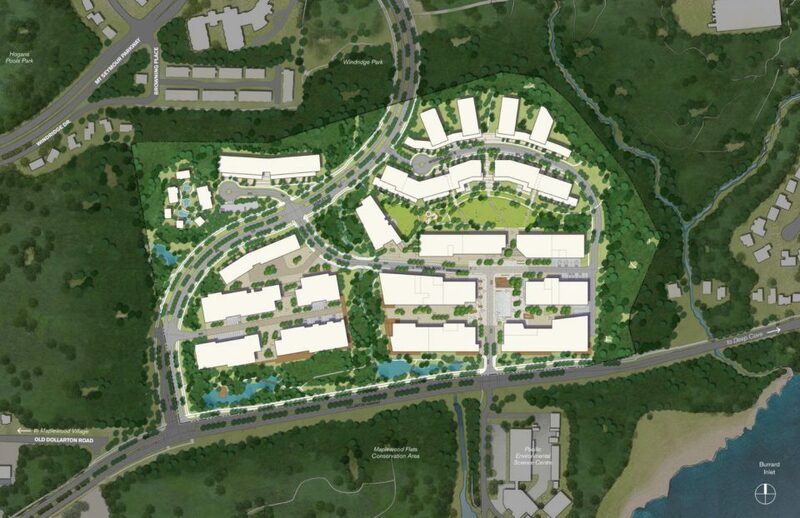 The development will mix office space, light industrial, retail, education facilities, and housing. 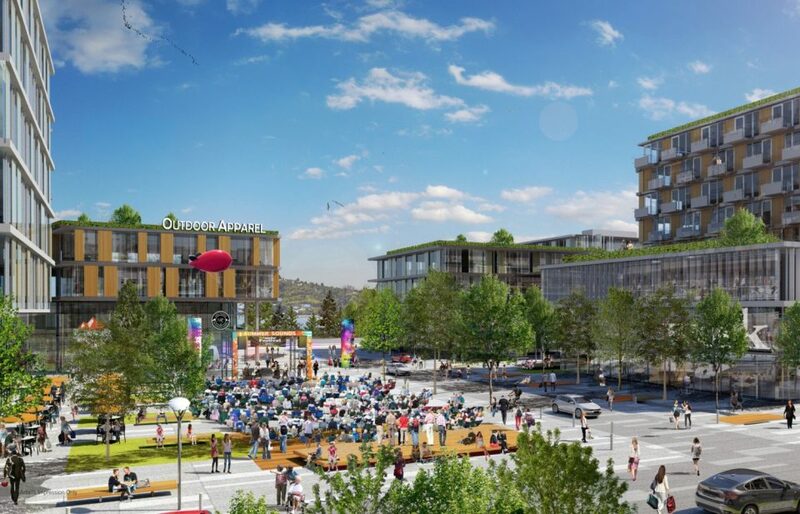 Approximately 4,500 jobs are expected to be created in the Innovation District by 2030. Office space: 735,000 sq ft.
Light industrial: 40,000 sq ft.
Student Housing: 150,000 sq ft.
North Shore Winter Club: 335,000 sq ft. 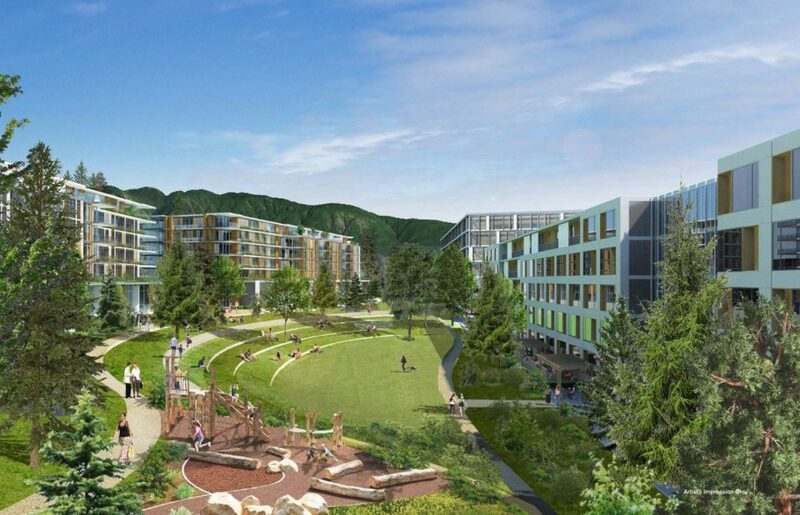 The residential aspect of the development will include a range of housing styles, from wood-frame apartment buildings and townhouses to concrete buildings up to eight storeys. Market rental and market ownership housing will make up the residential component of the development. 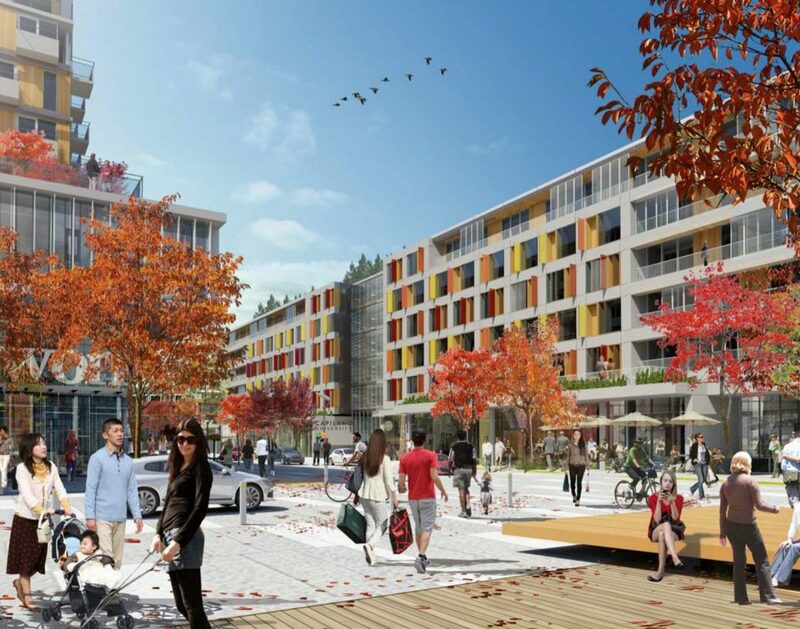 The housing strategy calls for 100 per cent of units (rental and ownership) to be offered to employees of the North Shore Innovation District at ten per cent below market rates. Approximately 595-680 market rental units and 191-220 market ownership units will be constructed. 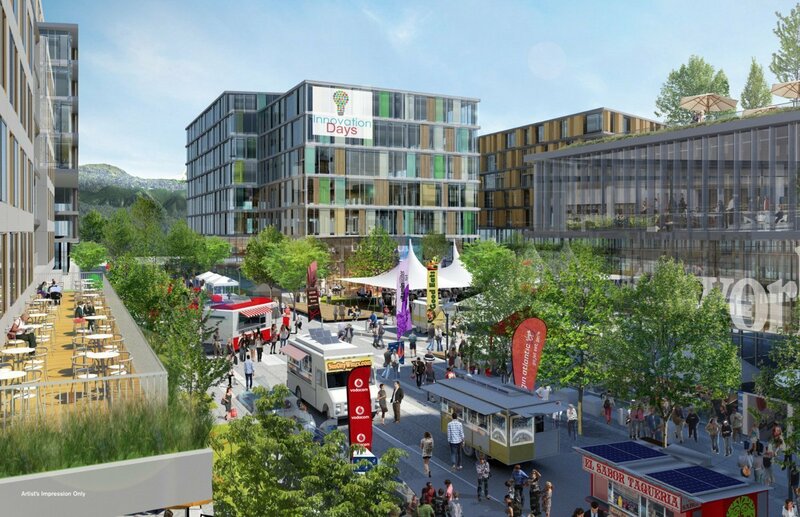 Throughout the development, ground floor retail, restaurants and cafes will animate the public realm, and prioritize walking, cycling and transit over vehicles. 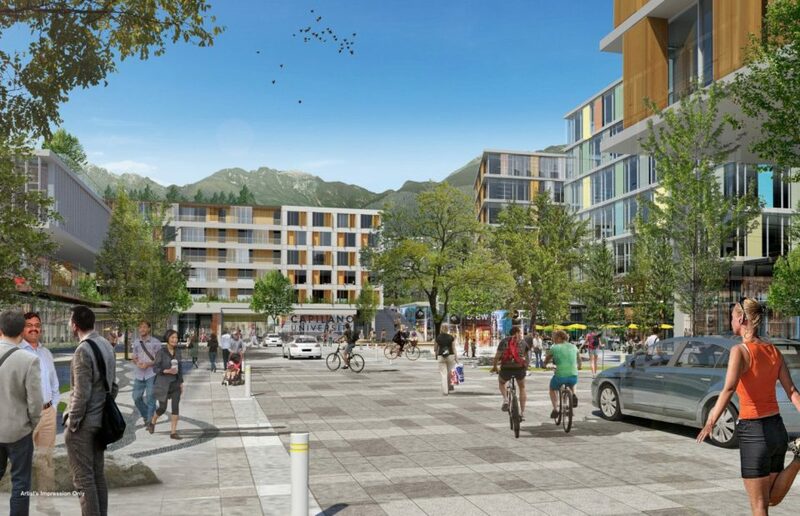 Dollarton Highway along the development will be widened to four lanes, including new separated bike lanes running in both directions, and a new pedestrian crossing from the district to Maplewood Flats.